Ideally located in the city center and right next to the station, the ibis Avignon Centre Gare hotel is the perfect place for business travel, family vacations or Avignon's annual theater festival. 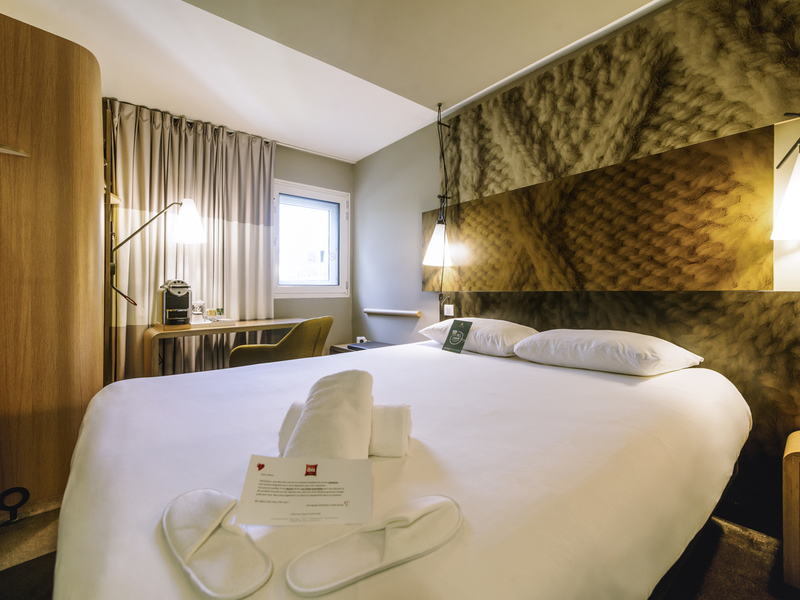 The ibis Avignon Centre Gare hotel has everything you nee d: opposite the ramparts, just a few steps from the Popes' Palace and the Pont D'Avignon, a bar that is open 24 hours a day, an ibis Kitchen Lounge restaurant that is open evenings and free WIFI. Some rooms overlook the Popes' Palace. Ideal location for visiting Avignon and surrounding region. Some rooms have magnificent views of the Palais des Papes.